We recently published an article (A Beginners Guide To Setting Up A Remote Workforce) which touched on the reasons why setting up a remote workforce can be incredibly beneficial to an organization. It can lower costs ($10,000 saved per employee that telecommutes only 2 days per week), increase productivity, lower environmental footprint and even increase revenue. But today we are going to go a little more in-depth about what technology you can put in place to successfully operate remote workforce, and not just operate but thrive. There are different platforms like Slack, Trello, or Skype that can help with many aspects of keeping your remote team connected. From collaborating on projects, to group chats, to video communications, the benefits of having these capabilities can be enormous. But what many people don’t know is that you most likely have most of (if not all) the tools to connect your team in place already, or you can very easily get everything you would need to connect your team on one platform, from an often overlooked source – your business telephone system. Here are the features that are available through your phone system that will help keep your remote workforce engaged, connected, and operating at optimum capacity. Whether it’s a “find-me/follow-me” feature, enabled and forwarding your calls to your mobile phone, or it’s the ability for an employee to bring their phone home or a set up a soft phone on their laptop to have access to instant messaging and phone communication from anywhere, your phone system can easily be set up with remote users in mind. To setup the infrastructure for remote workers you’ll need to make sure you have an IP telephone system. The reason for this is that an IP telephone system works with the infrastructure that you already have at home, in a hotel, at a coffee shop, or wherever you might be – as long as there is access to the internet. If you are considering taking a desk-phone home, you simply need to ensure it has access to the internet (either by plugging it in through your computers LAN cable or connecting to your Wi-Fi). In many cases you won’t need to bring a physical phone with you at all. Most IP phone solutions also provide a desktop application from which you can set call handling rules to allow you to use your mobile phone in conjunction with the system, or plug in a headset and use the in-built soft-phone. (you can learn more about IP phone systems in this beginners guide to IP phone systems). Desk phone option – you can easily have a phone set up at your remote worker’s location, the nice thing about this particular option is that it allows all the VPN tunneling and MAC registration to be pre-set on the phone and once it arrives all you’ll have to do is plug it in and it will automatically register (securely) back to your system. Find-me/Follow-me – The “find-me/follow-me” option allows quick and easy routing of calls from your office phone to a home phone or cell phone.Whether calling out, or receiving a call, you will be utilizing your business phone number and voicemail box, allowing you to keep your work and private lives separate.With this option clients will be able to reach you, no matter where you are, with the same phone number they would use to reach you at your desk.Of course you can change the setting if you don’t want to be reached at or after certain times, each employee will be able to enable or disable the “find-me/follow-me” option as needed. While the “find-me/follow-me” option is best implemented with a desk phone, it technically does not require a desk phone. As long as the user has an extension set up for them through the phone system they can set the “find-me/ follow-me” rules to ring their mobile phone automatically, removing the need for a desk phone. Rules can also be set so that, after a certain number of rings, the call is automatically sent to the remote workers business voicemail box. 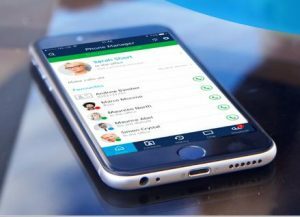 Mobile phone option – Most business phone system providers offer a mobile application that can be installed on the user’s smartphone; this would allow them to use their smartphone to perform all the activities they usually would on their desktop phones. 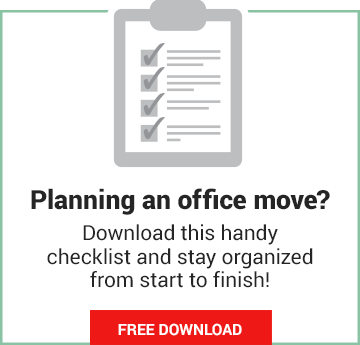 Whether your company has a “bring your own device” policy, or would prefer to provide a pre loaded device (with the mobility app), this option gives the truest form of ‘mobility’ for your mobile or remote workers. Each user will essentially have their office phone (and its capabilities) in their pocket – an office anywhere! When using a mobile app, your calls will either be routed through your business phone system (you place a call via the mobile application and the system calls you back to connect your call through your office telephone system) or you can call directly using Wi-Fi or Data. The latter option becomes incredibly useful for avoiding roaming and long distance charges when doing business out of town, simply connect to your hotel, restaurant, or the airport Wi-Fi and your remote office is up and running including: presence, access to voicemail, contacts, and free calling. The Soft Phone option – A soft phone is an app that is set up on your computer. It takes away the need for a phone, of any kind. 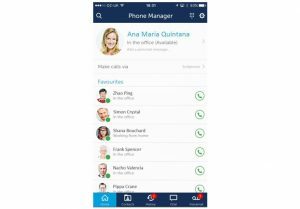 It allows your staff to make and receive calls completely on their computer or tablet. The soft phone has pretty much all of the same features of the mobile app or desk phone, you just need to plug in a headset and you’re good to go! The only downside of the soft phone option is that your computer has to be on to send or receive calls. If it’s turned off for any reason the app will also shut down, and you will not receive any calls until the computer is turned back on and the app re-opened. However, any calls that come in while the computer is turned off will still go to your voicemail box, or follow your “find-me/follow-me” rules (forward calls to a mobile phone for example). With the popularity of mobile phones, soft phones are not a solution that applies to every business. They are, however, a niche option that works very well with heavy computer users and those whose jobs (while remote) require them to spend the majority of their time on their computer or device. How does this help connect your remote workforce? Besides giving your workforce the ability to operate their phones with the same ease and access as if they were at their desk in the office, this also allows for greater interconnectivity no matter where you or your employees and colleagues are in the world! If you are on a business trip, you now have the exact same connectivity that you would have at your desk, the same ability to keep in touch in real time with your staff, and the ability to continue business as usual no matter where you are. Employees working from different cities, countries, or even just from their living rooms, are able to have the necessary connectivity to their colleagues (Between instant messaging, video and audio conferencing, and the above mentioned calling options) as well as the professionalism of having the company phone number show up on caller ID whenever they make outbound calls to customers or clients. Imagine being able to see when your colleagues are available, on a phone call, away, or in a meeting. Though most modern phone systems will include the ability to see a colleague’s presence status as a standard option, it sees its usefulness compounded with remote workers. The ability to tell when a colleague or staff member is online, and react accordingly, allows for streamlined inter-company communication. You can see if your coworker is available, if not, you can send an instant message, leave a voicemail, or wait to see when their presence status shows availability. It doesn’t matter if that team member is in the same city, or across the country, you will still be able to keep in communication almost the same as if they were seated at the desk down the hall. Integration brings some very interesting options. Though your workforce is remote, as long as your team is on your phone network they can stay connected to all the in-house systems: your company CRM, email exchange, or other applications specific to your business or industry (e.g. project management software, accounting software etc.). There are numerous applications and software that can be set up to work with your phone system, whether it’s logging and tracking calls to customers in your CRM system or helping to record audio data on project information for a project you’re managing, your phone system goes a long way to helping your team track their work and make sure all pertinent information is kept in a central, accessible, location. Lastly, there is video conferencing. 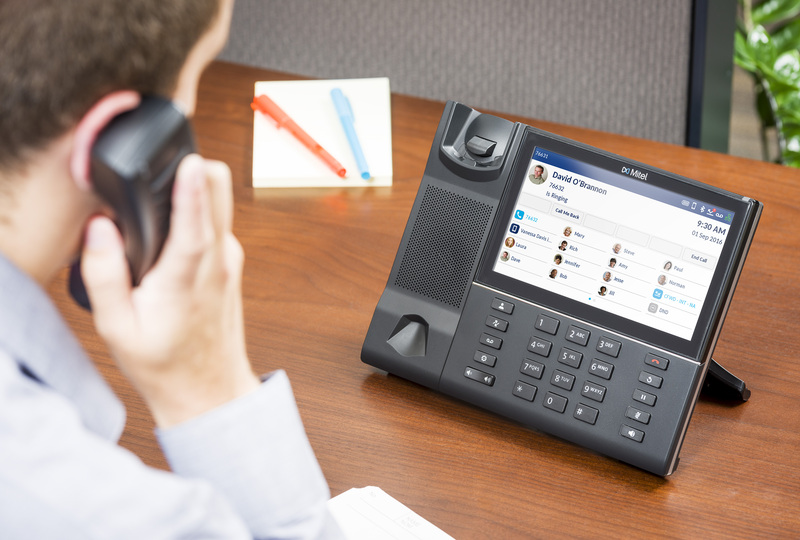 Not all phone system providers currently provide this as a standard feature, but it’s a feature that’s available standard in both the Mitel and Zultys IP phone platforms. This is a capability that is useful in so many ways for communications within your workforce. 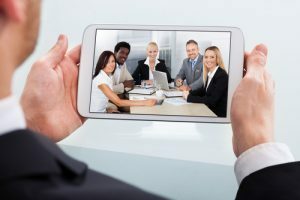 If you’re in the middle of a phone call, or messaging instance with a colleague, or you’re jointly presenting to a customer from two different locations, you can easily just turn on the video conferencing (and the accompanying screen sharing ability) and you have a free video conference at any time. There is a lot of information out there on why video is such a great medium for communication. How often do you see a video that finally helps you understand something that written instruction or even pictures weren’t able to convey? It’s the same with conferences, webinars, and remote training sessions. We’ve all had the experience of sitting around the board room with the agenda or training materials in front of us and some faceless voice droning on over the conference phone. Maybe this conference is the sales leader going through team metrics, or the accounting department discussing the previous quarter with the management team. Maybe it’s a technician or engineer speaking about a complex process, or a presentation for a customer that your company is conducting from different locations. No matter what the meeting is about, using the ad hoc video conferencing and screen sharing you have available from your phone system gives your team (or customer) the ability to see the face on the other side of that phone, to be engaged as to read body language and enthusiasm, which again leads to greater engagement. All in all it makes for a much more effective and engaging conference or training session. There are many scenarios where the ability to have a face-to-face conversation and share details on screen can help improve interactions within your business and with clients and customers. 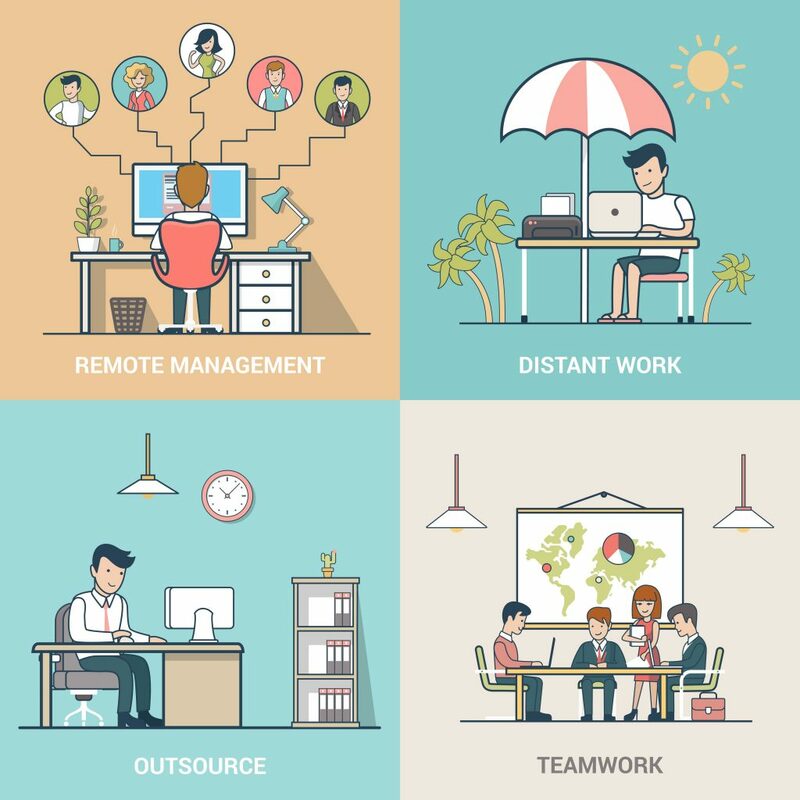 There are a lot of options available to you, to help you set up your remote workforce. It may seem complex, like there are so many options to choose from. But, like with a phone system, don’t just look at all the options available. Look first at what your goal is and what you need to make that goal work. Is your goal to have a completely remote sales team? Then setting up a phone system that will integrate with your company CRM is the way to go. Just start with what you need, you can build on that as future needs arise. Good luck in setting up your remote workforce, if you do it right, the benefits are there for the taking!